The Land Rover Range Rover has a long history of continually improving its look, feature set, and performance — all the way back to its original launch in 1970. If you’re shopping for a used Range Rover near Santa Monica, our vast selection of pre-owned vehicles is the place to look! Here, you’ll find 31 pre-owned and certified pre-owned Range Rover SUVs available at competitive rates and terms. Shop our inventory below, then take a few minutes to use our payment calculator and get pre-approved for financing! ** This vehicle has a BRANDED TITLE as a MANUFACTURER BUYBACK and has been repaired and tested to ensure all previous faults are resolved and is in full working order. Warranty included will be remainder of 4 yr or 50k mile factory warranty from original in-service date or 12 mo/unlimited mile warranty (California Residents only) or 12mo/12,000 mile warranty in all other states from date of purchase Extended warranty is available for additional cost. Subject to approval this vehicle is available for financing. Hornburg Los Angeles has a wide selection of exceptional pre-owned vehicles to choose from, including this 2014 Land Rover Range Rover. This Land Rover includes: HSE PKG Fog Lamps Heated Rear Seat(s) Chrome Wheels Panoramic Roof Vinyl Seats Aluminum Wheels Split Bench Seat Steel Wheels Seat Memory Cloth Seats Power Passenger Seat Woodgrain Interior Trim Generic Sun/Moonroof Power Driver Seat Sun/Moonroof Fixed Bench Seat Leather Seats Premium Synthetic Seats Bucket Seats EBONY MORZINE HEADLINING WHEELS: 22 5 SPLIT SPOKE Tires - Front Performance Aluminum Wheels Tires - Rear Performance *Note - For third party subscriptions or services, please contact the dealer for more information. * This Land Rover Range Rover offers all the comforts of a well-optioned sedan with the utility you demand from an SUV. With amenities and luxuries befitting a modern day king, this splendorous coach reigns supreme. This 4WD-equipped vehicle handles any condition on- or off-road with the sure footedness of a mountain goat. With unequaled traction and stability, you'll drive with confidence in any weather with this Santorini Black Metallic 2014 4WD Land Rover Range Rover HSE. The Range Rover HSE has been lightly driven and there is little to no wear and tear on this vehicle. The care taken on this gently used vehicle is reflective of the 52,901mi put on this Land Rover. Added comfort with contemporary style is the leather interior to heighten the quality and craftsmanship for the Land Rover Range Rover If, upon choosing the road less traveled you find yourself lost, relax and remember this beautiful car has navigation. More information about the 2014 Land Rover Range Rover: The fourth-generation Range Rover retains everything customers loved about the previous model and has improved upon all of it. The result is a massively capable on- or off-road luxury SUV with loads of power, smart handling, extensive use of technology and more creature comforts than you can imagine. It rivals anything produced by Mercedes or Porsche, and in fact now weighs less than either the Cayenne Turbo or GL450, thanks to extensive use of aluminum. The result is the most refined Range Rover yet. Interesting features of this model are All-aluminum body structure, fantastic off-road capabilities, available supercharged V8 power, and inspired handling characteristics. This 2016 Land Rover Range Rover Supercharged is proudly offered by Land Rover Newport Beach. This Land Rover includes: RADIO: 825 WATT MERIDIAN PREMIUM SURROUND SOUND Premium Sound System VISION ASSIST PACK Back-Up Camera Blind Spot Monitor Cross-Traffic Alert CARPATHIAN GREY HEATED WOOD Heated Steering Wheel Leather Steering Wheel EBONY MORZINE HEADLINING *Note - For third party subscriptions or services, please contact the dealer for more information. * When you purchase a vehicle with the CARFAX Buyback Guarantee, you're getting what you paid for. Off-road or on the street, this Land Rover Range Rover Supercharged handles with ease. There's a level of quality and refinement in this Land Rover Range Rover that you won't find in your average vehicle. Simply put, this Four Wheel Drive is engineered with higher standards. Enjoy improved steering, superior acceleration, and increased stability and safety while driving this 4WD Land Rover Range Rover Supercharged. Marked by excellent quality and features with unmistakable refined leather interior that added value and class to the Land Rover Range Rover If, upon choosing the road less traveled you find yourself lost, relax and remember this beautiful car has navigation. More information about the 2016 Land Rover Range Rover: The fourth-generation Range Rover retains everything customers loved about the previous model, and Land Rover has improved upon all of it. The result is a massively capable on- or off-road luxury SUV with loads of power, smart handling, extensive use of technology and more creature comforts than you can imagine. It rivals anything produced by Mercedes or Porsche, and in fact now weighs less than either the Cayenne Turbo or GL450, thanks to extensive use of aluminum. The result is the most refined Range Rover yet. Strengths of this model include inspired handling characteristics, All-aluminum body structure, available supercharged V8 power, fantastic off-road capabilities, and efficient diesel engine available. Hornburg Santa Monica is excited to offer this 2016 Land Rover Range Rover. This Land Rover includes: EBONY MORZINE HEADLINING VISION ASSIST PACK Fog Lamps Four Wheel Drive Back-Up Camera Traction Control Blind Spot Monitor Cross-Traffic Alert Stability Control RADIO: 825 WATT MERIDIAN PREMIUM SURROUND SOUND Premium Sound System WHEELS: 22 5 SPLIT SPOKE Tires - Front Performance Aluminum Wheels Tires - Rear Performance *Note - For third party subscriptions or services, please contact the dealer for more information. * CARFAX BuyBack Guarantee is reassurance that any major issues with this vehicle will show on CARFAX report. This Land Rover Range Rover HSE defines excellence in an SUV. It has the convenience of limitless boundaries paired with city sophistication. Excellence, luxury and stature are just a few of the pillars this car is built upon. Handle any terrain with ease thanks to this grippy 4WD. Whether you're on a slick pavement or exploring the back country, you'll be able to do it with confidence. This low mileage Land Rover Range Rover has barely been touched. It's the next best thing to buying new. Added comfort with contemporary style is the leather interior to heighten the quality and craftsmanship for the Land Rover Range Rover. Take the guesswork out of where you are going with the top-tier navigation system found on this exceptional Land Rover Range Rover. More information about the 2016 Land Rover Range Rover: The fourth-generation Range Rover retains everything customers loved about the previous model, and Land Rover has improved upon all of it. The result is a massively capable on- or off-road luxury SUV with loads of power, smart handling, extensive use of technology and more creature comforts than you can imagine. It rivals anything produced by Mercedes or Porsche, and in fact now weighs less than either the Cayenne Turbo or GL450, thanks to extensive use of aluminum. The result is the most refined Range Rover yet. Strengths of this model include inspired handling characteristics, All-aluminum body structure, available supercharged V8 power, fantastic off-road capabilities, and efficient diesel engine available. This 2016 Land Rover Range Rover Supercharged is offered to you for sale by Land Rover Mission Viejo. This Land Rover includes: VISION ASSIST PACK Back-Up Camera Blind Spot Monitor Cross-Traffic Alert DRIVER ASSISTANCE PACK Lane Departure Warning Automatic Parking Heads-Up Display SANTORINI BLACK CONTRAST ROOF ADAPTIVE CRUISE CONTROL W/QUEUE ASSIST Adaptive Cruise Control Cruise Control HEATED WOOD Heated Steering Wheel Leather Steering Wheel FULLY INSTALLED FIXED SIDE STEP PACK (PIO) Running Boards/Side Steps *Note - For third party subscriptions or services, please contact the dealer for more information. * Your buying risks are reduced thanks to a CARFAX BuyBack Guarantee. Off-road or on the street, this Land Rover Range Rover Supercharged handles with ease. There's a level of quality and refinement in this Land Rover Range Rover that you won't find in your average vehicle. Want to brave the road less traveled? You'll have the 4WD capabilities to do it with this vehicle. It's not often you find just the vehicle you are looking for AND with low mileage. This is your chance to take home a gently used and barely driven Land Rover Range Rover. Added comfort with contemporary style is the leather interior to heighten the quality and craftsmanship for the Land Rover Range Rover. You can take the guesswork out of searching for your destination with this Land Rover Range Rover Supercharged's installed Navigation system. More information about the 2016 Land Rover Range Rover: The fourth-generation Range Rover retains everything customers loved about the previous model, and Land Rover has improved upon all of it. The result is a massively capable on- or off-road luxury SUV with loads of power, smart handling, extensive use of technology and more creature comforts than you can imagine. It rivals anything produced by Mercedes or Porsche, and in fact now weighs less than either the Cayenne Turbo or GL450, thanks to extensive use of aluminum. The result is the most refined Range Rover yet. This model sets itself apart with inspired handling characteristics, All-aluminum body structure, available supercharged V8 power, fantastic off-road capabilities, and efficient diesel engine available. ** This vehicle has a BRANDED TITLE as a MANUFACTURER BUYBACK and has been repaired and tested to ensure all previous faults are resolved and is in full working order. Warranty included will be remainder of 4 yr or 50k mile factory warranty from original in-service date or 12 mo/unlimited mile warranty (California Residents only) or 12mo/12,000 mile warranty in all other states from date of purchase Extended warranty is available for additional cost. Subject to approval this vehicle is available for financing. Thank you for your interest in one of Land Rover Newport Beach's online offerings. Please continue for more information regarding this 2017 Land Rover Range Rover with 17,242mi. This Land Rover includes: BLACK DESIGN PACKAGE WHEELS: 21 9 SPOKE NARVIK BLACK CONTRAST ROOF ADAPTIVE CRUISE CONTROL W/QUEUE ASSIST Adaptive Cruise Control Cruise Control HEAD-UP DISPLAY Heads-Up Display RADIO: 825 WATT MERIDIAN PREMIUM SURROUND SOUND Premium Sound System EBONY MORZINE HEADLINING *Note - For third party subscriptions or services, please contact the dealer for more information. * This Land Rover Range Rover defines excellence in an SUV. It has the convenience of limitless boundaries paired with city sophistication. The Land Rover Range Rover 's pristine good looks were combined with the Land Rover high standard of excellence in order to make this a unique find. Simply put, this Four Wheel Drive is engineered with higher standards. Enjoy improved steering, superior acceleration, and increased stability and safety while driving this 4WD Land Rover Range Rover . Low, low mileage coupled with an exacting maintenance program make this vehicle a rare find. Added comfort with contemporary style is the leather interior to heighten the quality and craftsmanship for the Land Rover Range Rover Take the guesswork out of where you are going with the top-tier navigation system found on this exceptional Land Rover Range Rover. More information about the 2017 Land Rover Range Rover: The fourth-generation Range Rover retains everything customers loved about the previous model, and Land Rover has improved upon all of it. The result is a massively capable on- or off-road luxury SUV with loads of power, smart handling, extensive use of technology and more creature comforts than you can imagine. It rivals anything produced by Mercedes or Porsche, and in fact now weighs less than either the Cayenne Turbo or GL450, thanks to extensive use of aluminum. The result is the most refined Range Rover yet. This model sets itself apart with efficient diesel engine available, available supercharged V8 power, inspired handling characteristics, fantastic off-road capabilities, and All-aluminum body structure. Find a Used Land Rover in Santa Monica Today! 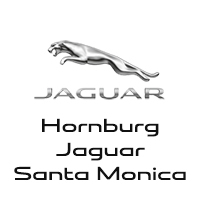 Hornburg Jaguar Santa Monica offers one of the most impressive selections of pre-owned luxury vehicles near Malibu and Pacific Palisades! Additionally, we’re always updating our pre-owned and CPO vehicle specials, so shoppers can find great models like the Land Rover Range Rover at a reasonable price. Of course, our services don’t end there. Our state-of-the-art service center is open Monday through Friday to help you keep your vehicle in optimal condition for as long as you own it. Do you have questions about financing a used Land Rover in Santa Monica? Contact us online or visit us near Brentwood!